Can I shut off the water supply by unplugging the water softener? I have to replace one of the O-Rings in a leaky faucet, and would have to shut off the water valve to said faucet. However, the faucets in my place don't have individual shut off valves, and there is only one main valve. I am hesitant in shutting off the main valve, because it has been known to leak in the past upon re-opening. I have a water softener installed that is fed from the pipe from the main valve, the water softener then feeds the hot water tank and breaks off to feed the rest of the cold water in the house. If I was to shut off the water softener(unplug it) without changing it in bypass mode, would this turn off the cold water supply to the rest of my house? The power to the softener is only used to run the backwash and recharge cycle. It will continue to operate without power, and will even continue to soften water for a while (though it does eventually need to be recharged, depending on the hardness of your water and how much you use). 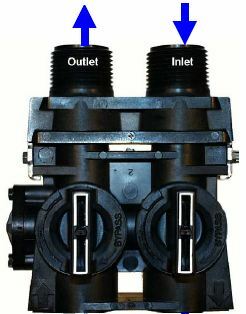 Certain types of bypasses can be used as shut-off valves. 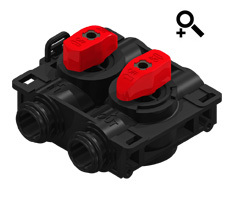 A custom-built one with 3 valves is easy: just close all valves. There's a type with two valves that can also be used: close one (so the valves are in opposite directions). 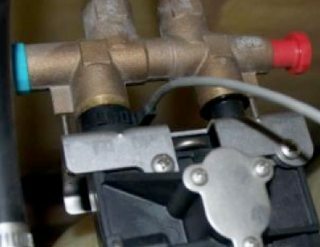 Other types that only have one valve/control handle don't shut off the water flowing through them. Separately, you should have a main-shutoff that is reliable. 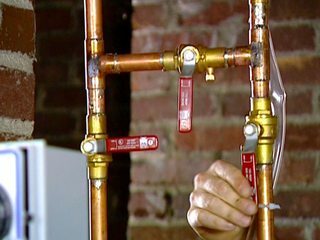 If you have a leak in your house it will likely cost much more than a valve will. Install a ball (quarter turn) valve, rather than a globe or gate valve -- very reliable, and will easily last at least a couple decades. No, even without power, water will still flow through the water softener. You have to shut off the flow of water via a valve. Not the answer you're looking for? Browse other questions tagged plumbing faucet valve water-softener or ask your own question. 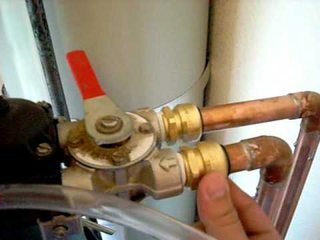 Should I turn off the cold water while replacing a hot water faucet stem? How to shut off water valve to outside faucet? Can I shut off the cold water supply to an oil furnace while away on vacation? How to bypass a clogged water softener? 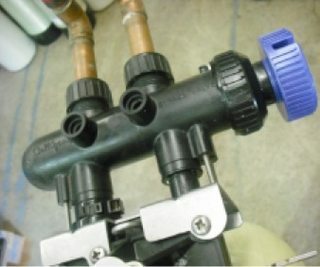 Can a water softener bypass value be used as a temporary shut off value? How to shut of water supply to laundry tub? Where can I find a kitchen faucet that stays in spray mode after turning the water off and turning it back on?